Century Music is a factory authorized JBL service speaker repair center in San Antonio. We use authentic factory parts to repair JBL speakers. We service speakers all over the state of Texas for many of the top brand of speakers such as EV, JBL, Cerwin Vega, RCF, Vdosc, Celestion, and Eminence. We even have repair kits for vintage speakers from Cts and Utah. 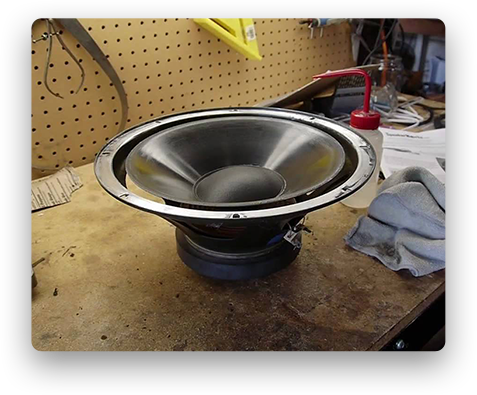 Bring your speaker in to our shop and we will inspect, clean all contacts, crossovers, remove the speaker or horn to be repaired and reinstall them when the repair is complete. Do you want to upgrade your speaker boxes? We are the largest supplier and offer the best prices of Eminence and Celestion replacement speaker drivers in Austin, San Antonio, and South Texas. At Century Music, we specialize in quality guitar repairs at affordable prices on all makes and models of acoustic, electric, and bass guitars. We provide emergency repairs for touring bands and on-site guitar tech services for major acts touring through San Antonio. 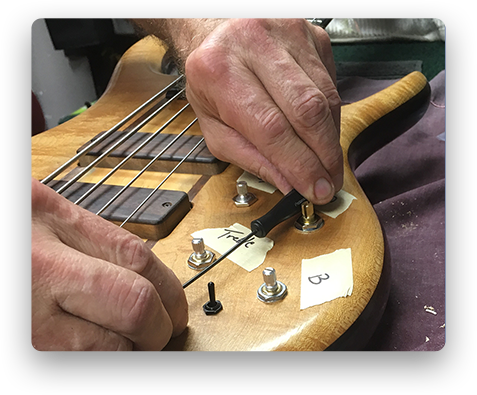 If your guitar needs action adjustment, pickup and hardware installation, fret leveling and crowning, electronic work, crack repair, or a new set of guitar strings, we are your one stop guitar repair shop. Stop by for a free consultation. Is your amplifier blowing fuses? Do you have gremlin buzzes or power drops at the gig? Bring your amp by and we can run all your tubes through our tube tester to identify if the tubes are the problem. Century Music specializes in tube amplifier sales, parts, and repairs. 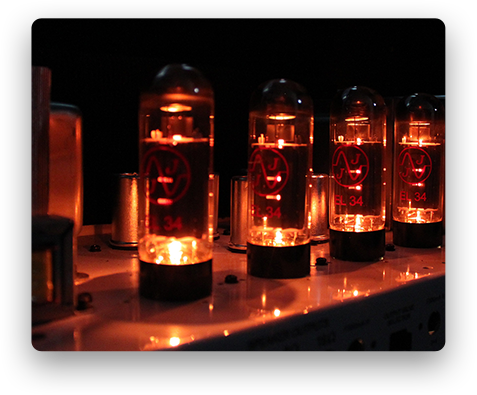 We have the largest selection of power amp tubes and preamp tubes in San Antonio. We stock matched sets and singles for Sovtek, JJ Electronics, Groove Tube, Ruby Tubes, and Mesa Boogie.